Numerous educational and employment opportunities exist for pharmacy technicians in New York. There are approximately 17,720 technicians licensed within the state. The sector is experiencing record growth due to the volume of prescriptions being filled, and the Bureau of Labor predicts that growth to continue well into 2020. Pharmacy technicians in New York earn an hourly wage of $15.35 or $31,920 annually. Pharmacy technicians dispense medications under the direction of a pharmacist. 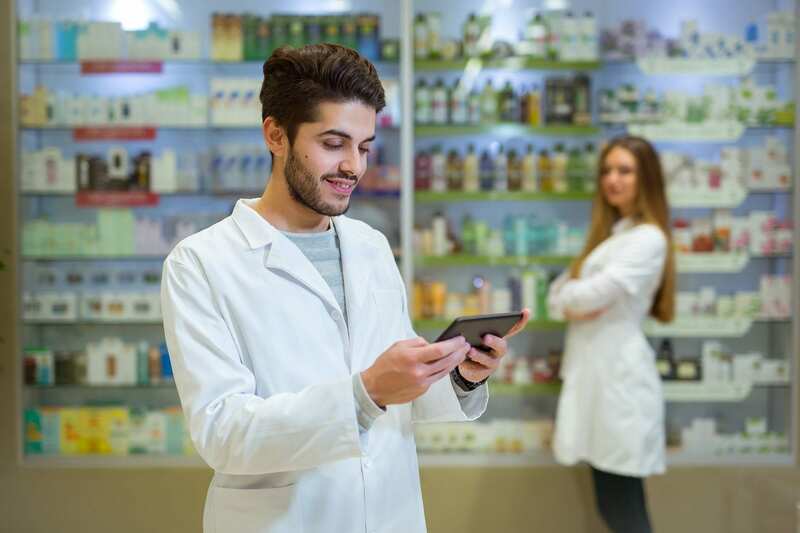 They measure, mix, and calculate dosages of medications, fill bottles, prepare and affix labels, receive and store supplies, maintain inventory, answer customer queries, perform daily administrative tasks. The nature of the job and the extent of their responsibilities requires technicians to be thorough and dependable. Bramson ORT College’s Pharmacy Technician Program includes instruction in anatomy and physiology, inventory and billing, compounding, customer care, medical terminology, pharmacy calculations, pharmacology, and much more. The goal of the program is to teach students the administrative and technical aspects of the pharmacy that a technician must understand. The curriculum covers the material set forward by accrediting bodies, such as the PTCB, NHA, and the CCHEP. Apart from classroom lectures, students will have opportunities to develop hands-on skills in the school’s modern pharmacy lab. The mandatory pharmacy externship gives students experience on the job, so they become competitive in the workplace. At the conclusion of the program, graduates will have 66-semester credits, which may be transferred to college degree programs. Applicants must demonstrate maturity and academic preparedness, and possess a high school diploma or GED. In addition to the core courses, students must complete 15 credits of elective courses, 6 credits of art and science courses, and 9 credits of elective art and science courses. Tuition for the certificate program is $11,280. Medgar Evers College’s Pharmacy Technician Training Certification Program is accredited by the NCCA. Graduates who pass the ExCPT earn the CPhT credential. Students learn how to receive written prescription requests from patients, receive electronic prescriptions from a doctor’s office, process physician orders, maintain patient profiles, retrieve, pour, count, weigh, mix, measure, or compound medications, and prepare insurance claim forms. Applicants must have a high school diploma or equivalency. Classes meet on Thursdays from 6:00 pm to 9:00 pm for four weeks. Tuition for the program is $910 and does not include the cost of textbooks and program fees. 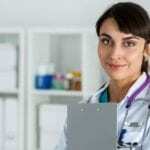 The pharmacy technician certificate program at the New York Institute of Medical Careers is 130 hours. Graduates are encouraged to take the National Certification Exam for professional certification. After completing the classroom theory, students can attend the optional internship at Walgreens Pharmacy. Course topics include the history and profession of pharmacy, pharmacy terminology and abbreviations, prescription compounding, management of pharmacy operations, safety in the workplace, drug classification, computer applications in drug control, dosage forms and administration, basic math and measurement system, and pharmacy law and ethics. Classes meet Monday through Friday from 9:00 am to 2:42 pm for five weeks. Applicants must have a high school diploma or GED, picture ID, and social security. Tuition for the program is $749. Books and supplies cost $150. An easy payment plan is available to all students. The school offers job placement assistance and internship opportunities. The pharmacy technician program at City Tech includes 45 hours of classroom instruction and 155 hours of online instruction. 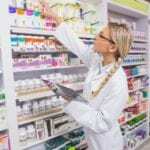 The curriculum prepares students for a career as a pharmacy technician. Graduates can take the national certification exam to become a certified professional. Applicants must have a high school diploma or GED, pass a background check and drug test, and meet the health requirements for the optional clinical experience. Tuition for the program is $995. The clinical externship costs an additional $300. The background check fee and drug testing for the clinical are $150. The ASA College Pharmacy Technology Degree Program prepares students to work in a supportive role alongside licensed pharmacists. The curriculum covers all the pharmacy-related duties they’ll have to conduct in community, institutional, home health care, and other related pharmacies. It integrates theory and practical experiences, including 90 hours of experiential training in a community and 90 hours in a hospital pharmacy. Graduates are prepared to take the PTCB exam and will have the competencies to function effectively an entry-level technician. Key competencies include the ability to communicate effectively with patients and medical professionals, identify the names and uses of prescription and OTC pharmaceutical medications, understand the symptoms and implications of substance abuse and misuse, and apply the ethical and legal principles for the control, release, and use of health information. Tuition for the 8-month program is $25,585. Books and supplies cost an additional $3,000.